While this article was officially written for the gifted advocacy organization SENG, it is reprinted here with their permission from this month’s issue of their SENGVine newsletter. This blog is also being included as part of the Hoagie’s Gifted Education Blog Hop Series. NOTE: Much of the following information may be effective not just for gifted families, but also for all families with children who may struggle with this busy holiday time. When the air turns crisp and the leaves glow brightly, our thoughts are captured by all the many fall and winter holidays and celebrations. The holidays traditionally bring with them merriment, joy and peace. Or so the greeting cards say. Harvest time offers horse-drawn hayrides and corn mazes. Halloween has trick-or-treating, bobbing apples, and costumes. Thanksgiving gives us family get-togethers with lots of food, hugs and conversation. In December, the holidays come with flickering lights, candles, crowded stores, booming music, the smells of nutmeg, cinnamon and cloves, and brand-new dress-up clothes. In malls, white-bearded santas also await. Unfortunately, for some families, the holiday celebrations may instead bring an uneasy joy, filled with challenging experiences. 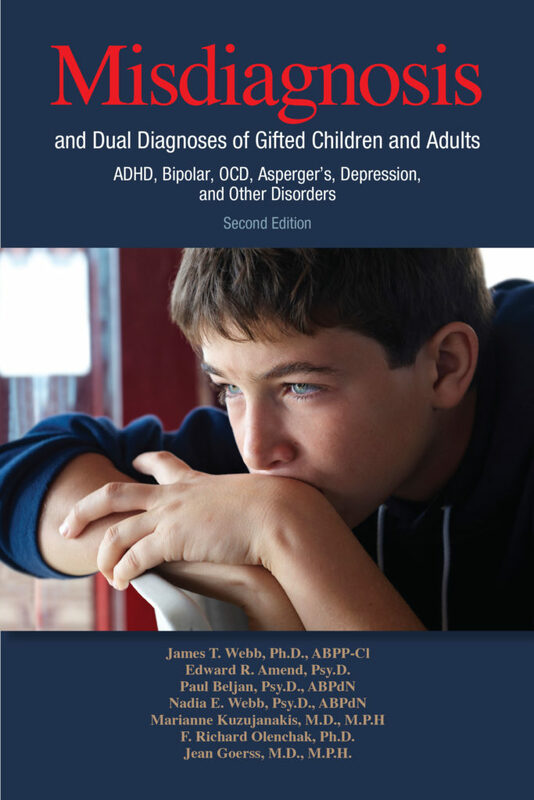 What conditions place a gifted child at greatest risk? DABROWSKI’S OVEREXCITABILITIES: Gifted individuals with overexcitabilities can become caught up in the excitement, emotions, and sensory onslaught of color, sound, smell, taste, and touch. Their extreme sensitivity to stimuli may lead to meltdowns, anxiety,difficulty sleeping, and imaginational overload. New clothes may irritate, new foods may disgust, noises and crowds may upset, and their energy levels may at times seem endless. TWICE-EXCEPTIONAL ISSUES:Examples include ADHD, autism, and sensory processing disorder. These 2e individuals may experience symptoms similar to Dabrowski’s overexcitabilities, and depending upon their 2e issues, these children may be stressed by the absence of a regular routine, and overwhelmed by the many unexpected gatherings, brand-new smells and blinking holiday lights. Meltdowns and anxiety are but two of the results that may occur. DEVELOPMENTAL ASYNCHRONY: Many gifted children, in particular those highest on the IQ scale, are at risk for developmental asynchrony. These children have lagging emotional impulse control. Frustrations, fears, anxiety, and stressors like hunger and fatigue, can result in behavioral outbursts and meltdowns. Providing these children with similar supports as one provides a 2e child can help encourage healthy emotional development. INTROVERSION: Introversion is not the same as shyness, but both shy individuals and introverted individuals need quiet time alone. This quiet time allows for the re-centering and re-energizing of one’s self. The holiday celebrations and gatherings may seriously limit time alone, and the resultant pressure to be on one’s best social behavior among so many people so frequently can drain energy levels, leading to anxiety, withdrawal, physical symptoms, and even meltdowns. ANXIETY: Gifted individuals with anxiety already are on emotional hyper-alert. Sometimes the anxiety is a social anxiety that can be drastically worsened by the frequent parties and celebrations of the season. Sometimes the anxiety is generalized, and if changes to routine occur, including to food and sleep schedules, emotional balance can be upset and appear as clinginess, stomachaches, headaches, and refusal to leave the home. ALLERGIES (FOOD & ENVIRONMENTAL): The harvest time signals the beginning of many food-related events, a tradition across cultures in honor of the earth’s generous bounty. Individuals with food allergies as well as environmental allergies (both felt by some researchers to be more common in the gifted than in the general population) always try to be cognizant of risks. New and uncommon foods, food dyes, scented candles, perfumes and potpourri, crackling fireplaces, pet dander, fall leaves, as well as classic symbols of the holidays may trigger reactions. Young children with allergies do not always recognize the risks, and they may accidentally consume foods or be exposed to trigger allergens, some of which can place the child’s health at serious risk. What’s a parent to do to help not just survive – but embrace – the holidays? WHEN INVITED TO SOMEONE ELSE’S HOME: Parents can carry with them an assortment of stress-reducers especially for children with sensory issues with significant anxiety or meltdowns. Chewing gum, headphones, earplugs, sunglasses, a fidget toy, and even a weighted blanket can help. A favorite book for an introverted child can be a stress-reducer. Protein snacks aid children who may not be eating well away from home or can’t find suitable foods that aren’t guaranteed allergy-free. Always tell hosts ahead of time about allergies to avoid these issues, and know that children with allergies do not always want to be singled out as different, so if necessary bring a pot-luck dish that would be welcomed by all. If a child experiences atypical behaviors (tics, shirt chewing, spinning, stimming, meltdowns) it is helpful to also forewarn hosts so no one over-reacts if one of these self-soothing behaviors occurs. Never ask a child to dress in brand-new clothes when visiting. Itchy new labels or materials can be a stressful experience for children with sensory issues. Children should dress in their most comfortable clothes. Never force a child to hug or kiss anyone when they do not feel like doing so. Support, but never force a child to speak or make eye contact with anyone if the child is uncomfortable doing so. Privately praise an anxious or sensory-overloaded child who finds the strength to interact. Offer frequent hugs if hugs are soothing to the child. Ask the hosts ahead of time if there might be an option to move the child to a quiet room in their home if anxiety or sensory issues arise. Never expect a child to stay for the entire duration of a party or get-together. Be alert to (but never hover over) a child’s needs. Be aware of early signs that the child is just becoming sensory-overloaded like aggression, withdrawal, frequent bathroom trips, or covering ears. Then remove the child to a quiet place to decompress before a meltdown results. Do hold firm expectations of appropriate behavior, including not being rude or aggressive. Make sure the child’s siblings are fully aware of triggers and can be supportive helpers for the affected child. Make sure the child has had adequate sleep (or even a nap) before any outing. WHEN HOSTING A GET-TOGETHER AT HOME: Many of the same above reminders may also help at home. Do make the child’s bedroom a private sanctuary to decompress alone if needed with self-soothing fidget toys, headphones, earplugs, and blankets, as well as favorite books. Involve the child in party preparations only so far as the child feels comfortable. Don’t try to make everything perfect. Perfection is unattainable. Try to maintain regular routines for the child whenever possible (sleep, meals), and make sure some of the foods to be served are favorites of the child. While some children may like to greet guests at the door, for children with sensory issues or anxiety, being the greeter can be extremely stress provoking. Parents need to monitor their own stress levels, since hosting a party may also cause anxiety in a parent. As the saying goes, “Put your own oxygen mask on before you help others.” Learning mindfulness and meditation techniques can help both the parent and the child better cope with the stress of the season and all of life. Children absorb the energy – both positive and negative – from other people, so maintain a calm demeanor whenever possible. Having the child do some physical activity (exercise, active play) prior to the arrival of guests can sometimes lessen the stress level and avert anxiety. WHEN SHOPPING OR ATTENDING A PUBLIC EVENT: If it isn’t necessary for the child to go shopping, permit the child to remain at home. Holidays are a most busy time for storekeepers. For those who celebrate Christmas, never force a child to visit Santa Claus or sit on Santa’s lap, unless the child absolutely wants to do so. Some children with sensory issues or anxiety can be traumatized by the event. For Halloween, the same is true of haunted houses that may traumatize some children. When attending holiday plays or musicals, give plenty of time to the child to warm to the setting and allow the child to wear his or her most comfortable clothes. Do not force the child to remain for the entire performance if signs of increasing sensory overload or anxiety are noted. Do not schedule surprise events or several events on the same day, as the sensory overload and anxiety may be too burdensome for some children. Always carry appropriate protein snacks and fluids when outside the home. A hungry child can be at risk to have a meltdown. AT HOME: Parents can allow for generous unstructured time at home if doing so eases a child’s anxiety. Some children need the opposite, and do better with predictable and non-stressful firm routines throughout the day. Maintain regular bedtime and meal schedules whenever possible. A tired child with sensory issues is more prone to meltdowns. Predictability is key to helping the days run more smoothly. Surprises in schedule are typically unwelcome. Allow the child to be actively involved in any planned home decorations and foods, and limit excessive blinking lights, scented candles, and other potential triggers. The magic of the holidays can make waiting difficult for some children. Try to have quiet at-home celebrations whenever possible. Smaller partial celebrations divided over the course of the holiday season may be more accepted than a single over the-top celebration. Above all, remember what the holidays are all about. Joy. Family. Friends. Peace. Love. Ensure that you and your child and entire family experience this magical time without fear of overstimulation or risk for food allergy complications. Don’t aim for perfection and don’t try to handle everything yourself. Ask for help from family and friends. Paying attention to a few reminders and being mindful of the child’s individual needs (as well as your own needs) can assist in moving everything in the right direction and bringing back the merriment that is at the core of the entire fall and winter seasons! Happy Holidays to all! Sincere wishes for a safe and joyous season!